Griffin fresco in the “Throne Room,” Palace of Knossos, Crete, Bronze Age. The word Æsopian refers to a language that can only be understood by people other than insiders. Nineteenth-century Russian satirist Mikhail Yevgrafovich Saltykov-Shchedri was the first to use the term æsopian language. Animals speak and do no speak. In the end, as eloquent as he may be, a fox is a fox is a fox. Gertrude Stein’s “a rose is a rose is a rose” captured the spirit of anthropomorphism. Whether they are used as a carpe diem or a memento mori, roses are roses are roses. In 1997, in his review of Marc Fumaroli‘s Le Poète et le Roi, Jean de La Fontaine en son temps, Charles Rosen wrote that “[w]ith La Fontaine’s Fables, we do not have to burrow far under the surface to recognize a discreet opposition to the grandeur of style and the servile obedience wanted by the court, an opposition never openly expressed but manifest on every page.” (The New York Review of Books, “The Fabulous La Fontaine,” (18 December 1997. )[II] Fables feature speaking animals, but readers know that animals do not speak just as Louis knows he is not a lion. Therein lies the wizardry of beast fables. 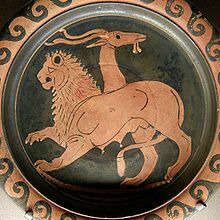 However, certain legendary or mythical animals as well as mythological animals are hybrid creatures who combine the features of humans and those of an animal or combine the features of several animals. 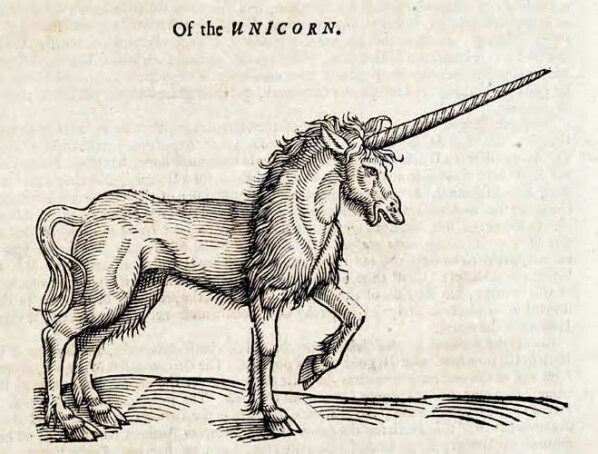 Zoomorphic animals are also anthropomorphic, or humans in disguise. Well-known animals that combine human and animal features are centaurs and the Minotaur. 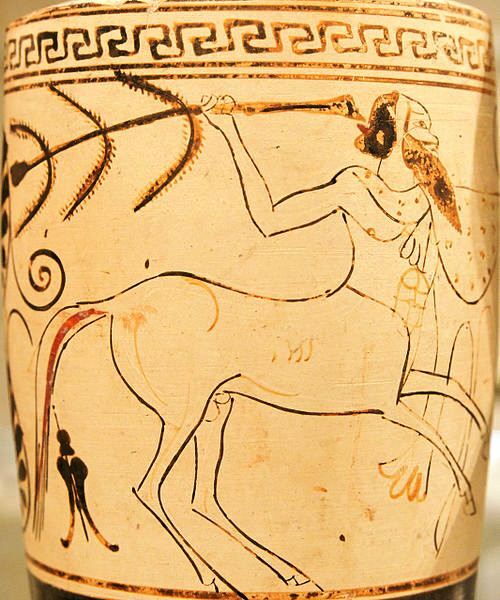 Centaurs have the torso of a man or a woman, but their lower body is that of a horse. The Minotaur, he is the son of Pasiphaë and a bull. He is therefore a hybrid animal that is kept in a labyrinth built by Dædalus. The Minotaur is slain by Theseus who finds his way through the labyrinth using Ariadne‘s thread. Theseus also slays a centaur. 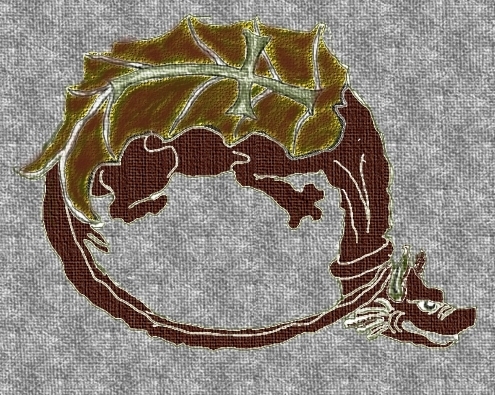 Zoomorphic animals may belong to a mythology, in which case they have lineage and ancestors. Interestingly, angels have wings, but they are otherwise identical to human beings. Usually, mythologies tell a story that explains origins. They are etiological narratives. In children’s literature, etiological narratives are called “pourquoi” (why) stories. Rudyard Kipling‘s Just So Stories (1902) are “pourquoi” narratives. However, some legendary creatures, such as the phoenix, appear to straddle both categories, the mythical and the mythological. The distinguishing factor could be the degree of symbolism attributed to the animal. The more symbolic the animal, the more mythical. 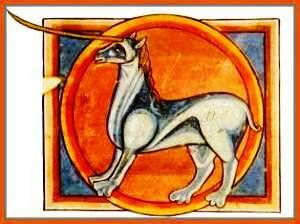 By and large, mythical animals are zoomorphic and have no lineage. 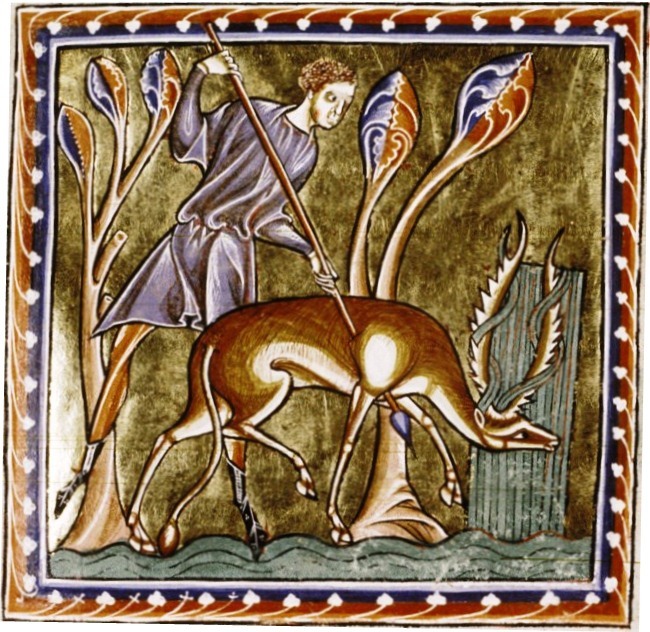 Relatively few are not featured in etiological narratives, such as the Bible and and many inhabit the medieval bestiary. 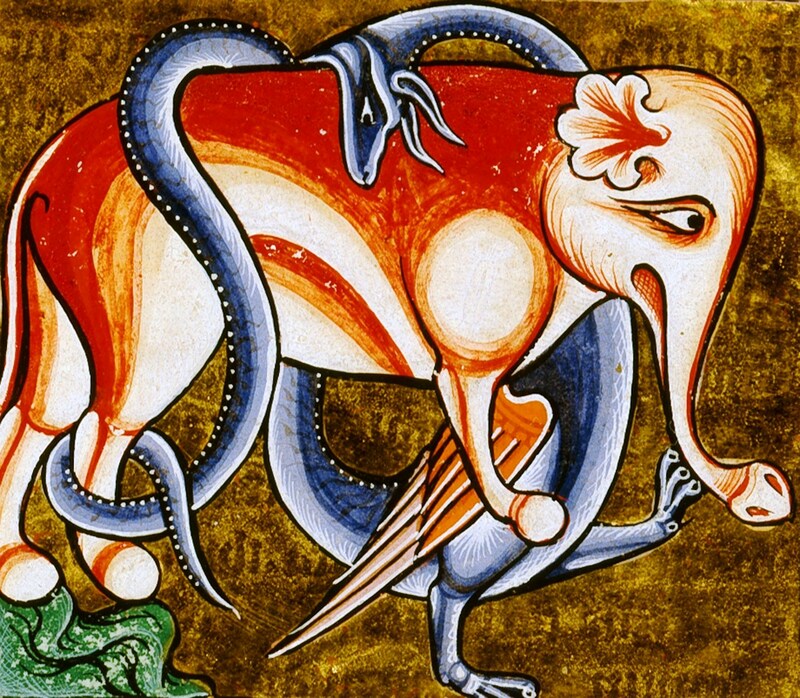 Bestiaries are allegorical. 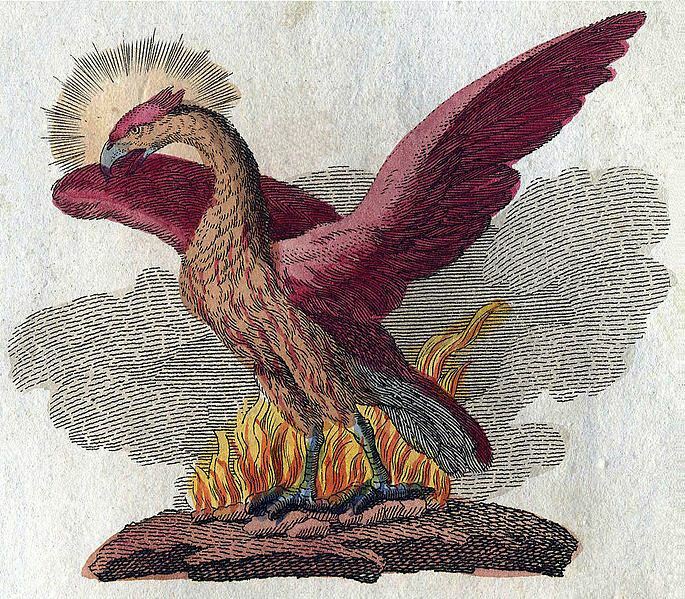 A phoenix depicted in a book of mythological creatures by F. J. Bertuch (1747-1822). 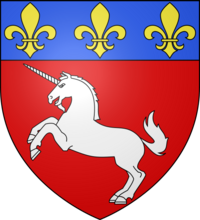 Other relatively well-known zoomorphic animals, combining animal features only, are Pegasus, the winged horse of Greek mythology, or Cerberus/Kerberos, the three-headed dog who guards the entrance to the underworld. In The Tale of Cupid and Psyche, Psyche is told how to avoid him, which enables her to fetch beauty from Persephone without dying. Locksmiths and businesses that provide alarm systems often name their store or company Cerberus/Kerberos. The phoenix appears in J. K. Rowling‘s Harry Potter and the Order of the Phoenix (2003), in which we also find the griffin Albus Dumbledore. As well, the Harry Potter series features Cerberus/Kerberos. 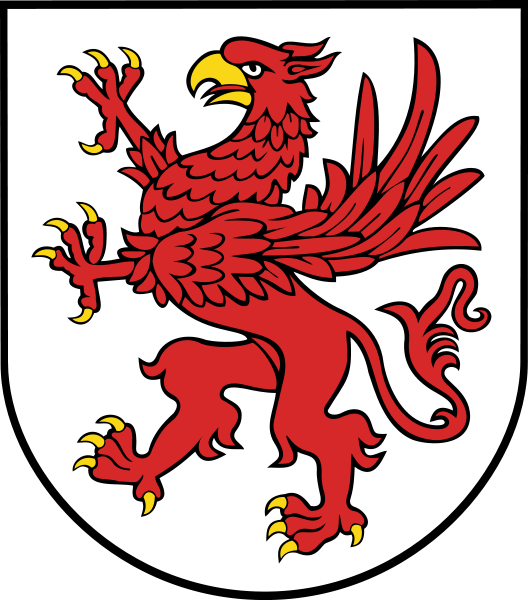 The griffin, however, had been used previously. For instance, he appears in Dante Alighieri‘s (c. 1265–1321) Divine Comedy and in John Milton‘s Paradise Lost. In C. S. Lewis‘ popular Chronicles of Narnia, we find a centaur. They are also featured in children’s literature. Kenneth Grahame’s The Wind in the Willows is a children’s novel, but such works are best understood by adults if poorly illustrated. Therianthropic animals, humans that transform themselves into beast and vice versa can be looked upon as zoomorphic creatures. There are therianthropic beings in fairy tales, which is usually the result of a curse. A fine example is Beauty and the Beast. Enchantment is central to fairy tales. But shapeshifting animals bring to mind the werewolf (le loup-garou), a lycanthrope, rather than fairy tales. Beast literature is not an animal counterpart of fairy-tales. The above shows, among other factors, to what extent humans see commonality with animals, but not as in Darwinism. [I] Jan M. Ziolkowski, Talking Animals: Medieval Latin Beast Poetry, 750 – 1150 (The University of Pennsylvania Press, 1993), p. 18. [II] Marc Fumaroli, Le Poète et le Roi, Jean de La Fontaine en son siècle (Éditions de Fallois, 1997). [III] Donald Ray Schwartz, Noah’s Ark, an Annotated Encyclopedia of every Animal Species in the Hebrew Bible (Jason Aron Inc.: Northvale, New Jersey, Jerusalem, 2000).